Description: An upgraded version of the GEARS university starter mecha. Replica of 1st Anniversary Gold Commemorative edition. Un-jammed" - Extra Round fired. Description: Newer model standard issue army gun. Slightly less prone to jamming than the older version. Occasionaly un-jams for extra hit. 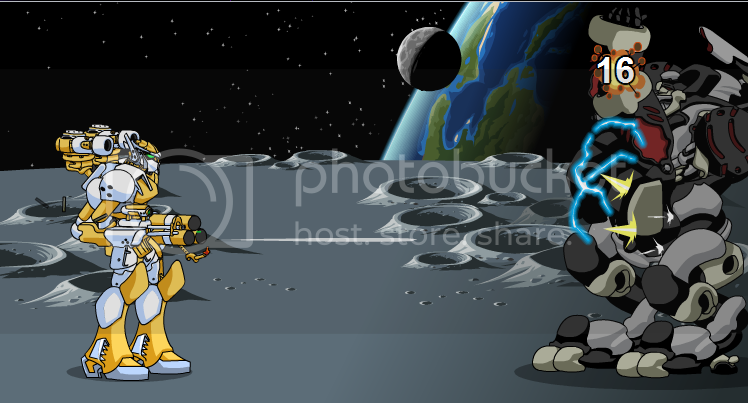 Image: Glistening Machine Gun, Attacking! 100% chance for "Fire Ignites" 12-19 DoT for 5 rounds. Description: When theres smoke, there might be fire! May cause additional burn damage. 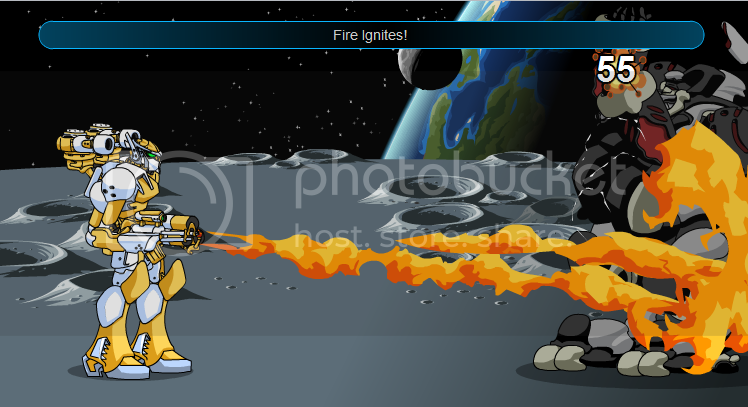 Image: Glistening Flame Thrower, Attacking! Chance for Crit Chance Increased by X % where X is between 1 and 60. 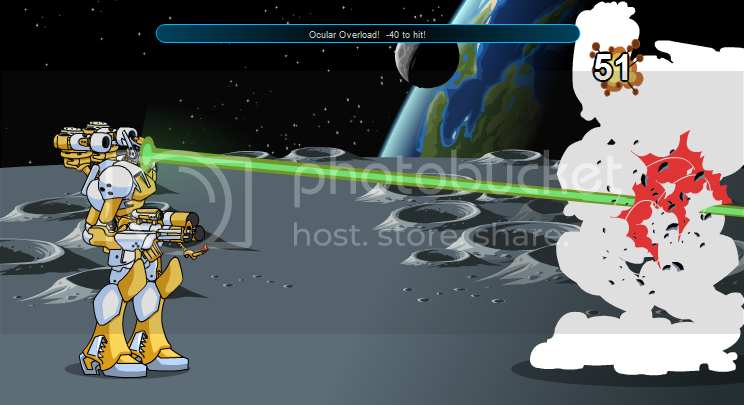 Image: Glistening Laser Blaster, Attacking! 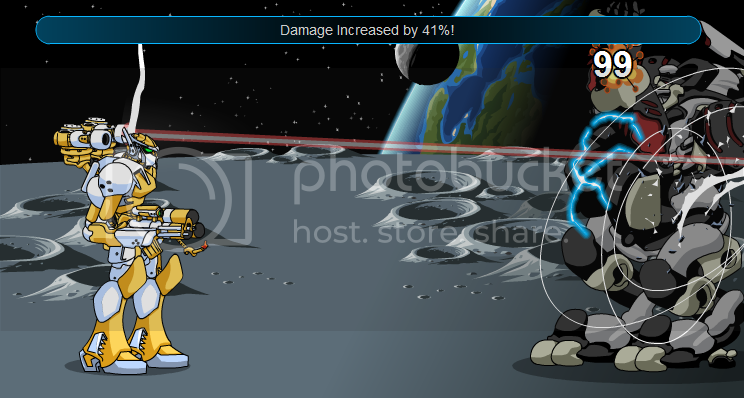 Chance for Damage Increased by X% where X is between 1 and 60. 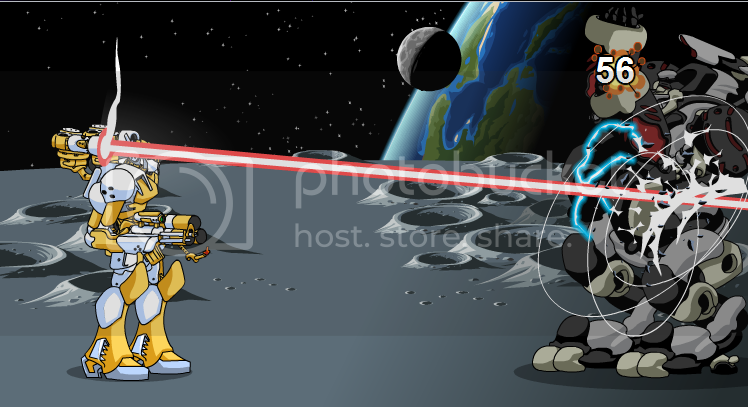 Image: Glistening Laser v.3008, Attacking! Description: This head was manufactured for student use. Use your head!